Does Disney or Comcast Have a Better Shot at Regulatory Approval for Fox Deal? While offering billions in a bidding war for most of 21st Century Fox’s TV and film assets, both Disney and Comcast are also on the front lines of a battle of words, each trying to position its bid as the one most likely to gain regulatory approval from the government. Comcast CEO Brian Roberts jumped to capitalize on this month’s judicial ruling approving AT&T’s $85 billion acquisition of Time Warner over the objections of the Trump Department of Justice’s antitrust division. The following day, he offered a $65 billion all-cash deal for Fox and pointed to AT&T-Time Warner as a driver for the bid. Bob Iger, the king of the castle at Disney, scoffed at Robert’s reading of the company’s regulatory prospects on Wednesday as the Mouse House upped its bid from $52.4 billion to $71.3 billion in a roughly equal split of stock and cash. To be sure, both deals would likely be scrutinized by the Justice Department for different reasons, a person familiar with the department’s antitrust review process told TheWrap. A merger with Disney would be much more of a straight horizontal merger — a content company buying another content company. These mergers typically have more to overcome in terms of anticompetitive concerns. Disney has already expressed its willing to divest some of the assets it would acquire from Fox in order to gain regulatory approval. Both companies are vying for a portfolio that includes the Fox film and TV studios, U.S. cable networks including FX and regional sports channels, international properties including Sky PLC and Star India as well as Fox’s one-third stake in the streaming service Hulu. Comcast’s merger would likely be a bit more complicated, experts said. 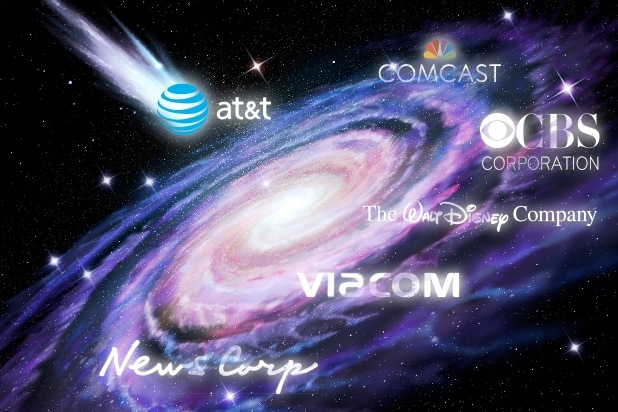 Whereas Disney doesn’t have the infrastructure or the pipes to distribute content on its own, Comcast owns one of the country’s biggest pay TV providers and broadband companies in Xfinity. 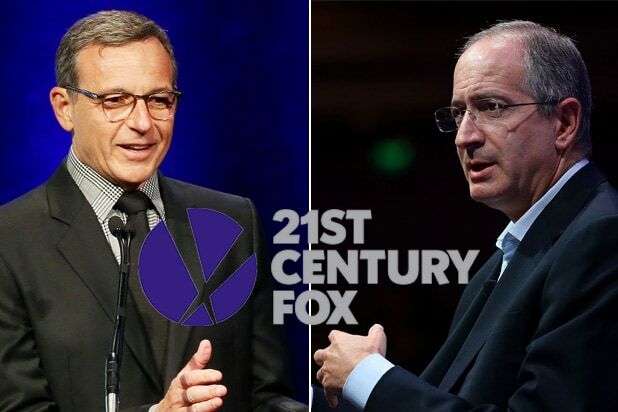 Like Salop said, this would make a Comcast-Fox merger a tangled combination of a horizontal and a vertical merger. Also Read: Disney vs Comcast Showdown: Who Needs the Fox Assets More? “We agree with Disney that the additional hurdles facing Comcast — a company that controls 40 percent of the broadband market, in addition to its video footprint and content holdings — will at the very least lead to a longer regulatory review of the deal,” analysts at MoffetNathanson said in a note on Wednesday.